↑ Platnick, Norman I. (2009). "The World Spider Catalog, version 9.5". American Museum of Natural History. 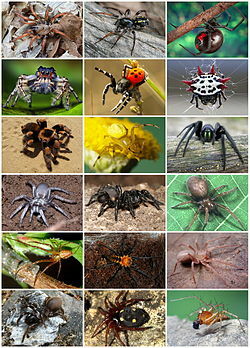 http://research.amnh.org/entomology/spiders/catalog/COUNTS.html। আহৰণ কৰা হৈছে: 2009-04-25.